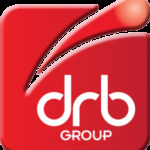 DRB Group is a trusted partner to the pharmaceutical industry. Would you like to increase capacity on your production lines? Have you considered improving dosage accuracy to eliminate waste and reduce costs? Will recent regulatory changes mean your production processes need adapting? Do you need to replace or refurb discontinued components to maintain your existing process? For more than 40 years, pharmaceutical manufactures have trusted DRB to support their maintenance, project, and operational teams to keep their critical plant running efficiently. Recently, we enabled a client to meet strict regulatory deadlines to ensure their biggest overseas business unit could continue to operate. If your existing plant could benefit from refurbishment to increase throughput, DRB is experienced in reverse-engineering discontinued components and adapting existing setups. As well as bespoke systems, clients also trust us to support them day-to-day: supplying off-the-shelf parts, refurbishing safety critical valves, and everything in-between. Clients also benefit from our preventative and predictive maintenance on all processing and manufacturing equipment. This flags potential future risk to your existing plant and helps keep new equipment working efficiently.